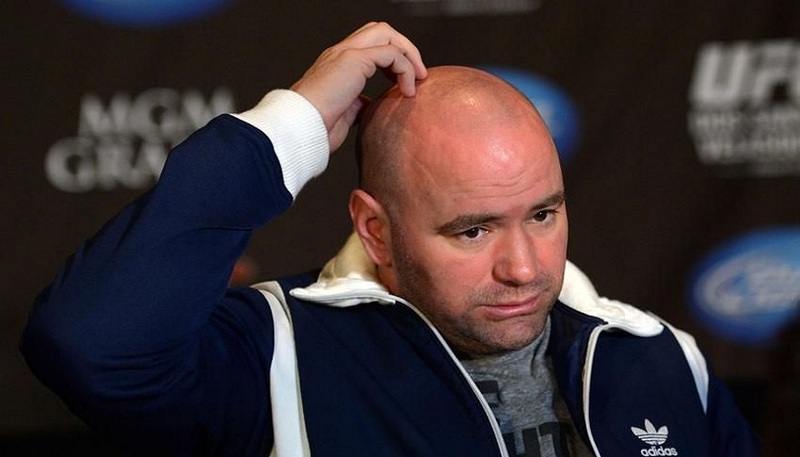 But with management changes and shifting interests, one can’t help but wonder: How long can Dana White remain as the UFC President? Will he ever let go of this position? Will anyone ever fire him? And if he leaves his mantle behind, who can take his place? Dana Frederick White, Jr. is an American businessman who doesn’t just run the organization; he understands the sport it stands for. He used to be a fighter and a fight manager himself. Before he got into the ring, he was a 19-year old working as a hotel valet. One day he stood in the lobby, reflecting on how he makes cash and gets great benefits – and how despite all this, he wasn’t happy. Dana White walked out the door, told his friends that he was quitting, and that he would get into the fight business. Over the next decade, he got familiar with the boxing world. He became an amateur boxer; started training and managing other fighters; and soon, he was refereeing and running gyms. It was smooth sailing until he had a brush with the legendary mob boss Whitey Bulger, who held influence over Boston’s working class back in the early 90’s. While running one of his gyms, White was visited by a group of men who told him he owed them $2,500 for reasons never made clear. It was at this point Dana White knew he had to leave everything behind. He caught a flight to Las Vegas and never looked back. All of this happened before White got reunited with his childhood friends Lorenzo and Frank Fertitta. This was the same trio that purchased the UFC from Semaphore Entertainment Group (SEG) for $2 million. This was back in 2000 when SEG was on the verge of bankruptcy. The rest, as they say, is history. Today, MMA is recognized as a mainstream sport, thanks to the UFC. On July 11, 2016, UFC was sold to WME-IMG for $4 billion. Through this deal, Dana White survived and maintained his title as UFC president. Even as the acquisition caused UFC CEO Lorenzo Fertitta to step down, White remained with the company. He is reportedly earning 9% of UFC’s net profits, a deal in favor of White as he merely has to make sure the sport remains popular in order to earn millions per year. So financially, it makes sense for the UFC President to stay for as long as he can, for as long as people are watching the sport. It wouldn’t be wise to leave it now, considering how the company’s trajectory still seems to be upward. But if we were to give a definite period as to when Dana White would leave the company or at least let go of his position, we could say it would be around 2021. That is when his present contract expires. The contract he signed with WME-IMG expires in five years, and he may make a significant decision then. We could predict that his decision on contract renewal would depend on the landscape by then. If UFC continues to grow popular, and if it hits an even bigger audience, White would have no reason to leave. But if within five years, interest in MMA somehow fizzles, this former fighter would be wise to rethink his position. Although with a new deal with television juggernaut Fox on the rise, the latter is really less likely to happen. As for potential replacements, there are also currently none. This is also less crucial as it was a few years ago, because UFC is a self-sustaining entity by now. Still, despite Dana White’s infamous feuds, and tendency to attract controversy, it’s good to know he still has his hands on the steering wheel, at least for the time being. I help with the blog content on Livnfresh as well as the social media marketing. I love helping create a message that resonates with a fan base.